INDUSTRY.co.id - Jakarta - DFSK will expand its business in East Java Province with plans to add dealers to 9 outlets. 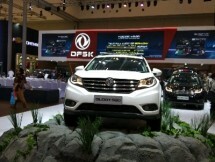 As the first Sport Utility Vehicle (SUV) product launched by the DFSK for the Indonesian market, Glory 580 is predicted to be a new choice for the Indonesian people, including for consumers who live in the city of Surabaya and various surrounding areas. Franz Wang, Managing Director of Sales Center of PT Sokonindo Automobile, said that in order to provide the best service to its loyal customers in Indonesia, the DFSK also strategically developed all regions in the country, not to mention in the city of Surabaya. "DFSK not only produces vehicles with high quality, but also accompanied by maximum after-sales service, in line with the main values ​​applied by DFSK, namely 'All For Customer'," Franz Wang said, through an official statement received by INDUSTRY.co. id, Monday (09/17/2018). 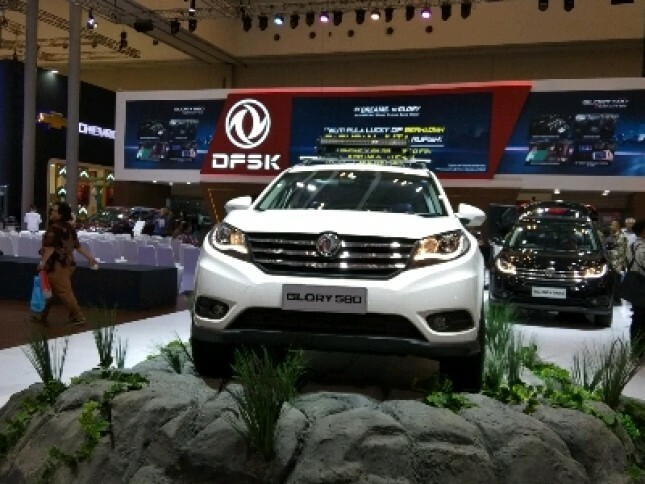 The DFSK Surabaya dealer, which is under the auspices of CV Manang Sejahtera Abadi, is committed to providing convenience in the sale of DFSK vehicle units in the Surabaya area and beyond. The DFSK Surabaya dealer places great emphasis on excellent after-sales services, while cooperating with a number of trusted financing companies, such as BCA Finance, Mandiri Tunas Finance, and Adira Finance. "We as one of the official dealers of DFSK in Surabaya hope to attract potential customers, especially those living in the East Surabaya area and its surroundings, as well as to be able to consider the DFSK Glory 580 car as the first choice and trust the DFSK Glory 580 car care in our outlet," said Cheliyono Jenardi Tejo, Owner of CV Manang Sejahtera Abadi. The DFSK Surabaya dealer located at Jl. Arief Rachman Hakim, Surabaya, supported by 3S facilities (Sales, Service, Spare Parts) and in an area of ​​1,350 m2. In order to ensure high satisfaction, the showroom with a 4-unit capacity display room also provides a waiting room for DFSK consumers. The DFSK Surabaya dealer has a building area of ​​1,600 m2 and is equipped with 6 service stalls and is equipped with a two-post lift, as well as a warehouse of spare parts of 15 m2. Going forward, DFSK plans to open 9 other dealers in the East Java region in the near future, including in the cities of Malang, Kediri, and Jember.